The British love affair with Sauvignon Blanc continues apace. According to new figures from analysts Nielsen, the pungent pleaser has caught up with Pinot Grigio as the best-selling white wine in UK shops. New Zealand has to take much of the credit – or blame, depending on your point of view. A bumper 2008 harvest resulted in a flooding of the market at low prices of New Zealand wines, especially Sauvignon Blanc. While many consumers couldn’t believe their luck, this ubiquity caused some people (i.e. me) to be, well, rude about its cookie cutter uniformity of shouty aromas and fruit pastille textures. It seems that producers in Marlborough, the epicentre of Kiwi Sauvignon, are waking up to this. At the premium end, the likes of Cloudy Bay’s textured Te Koko have been around for a while (and now former Cloudy Bay winemaker Kevin Judd’s Greywacke Wild Ferment). But now the brands like Villa Maria are keen to talk up terroir and promote their single vineyard wines, and supermarket stalwart Brancott Estate has just launched a limited edition “icon” Sauvignon, which I overheard one wine writer call ” a game changer” . The message is: one size does not fit all. Yealands Estate chief winemaker Tamra Washington, is keen to point out that climate and soil not only make a difference within Marlborough – but within a single vineyard. 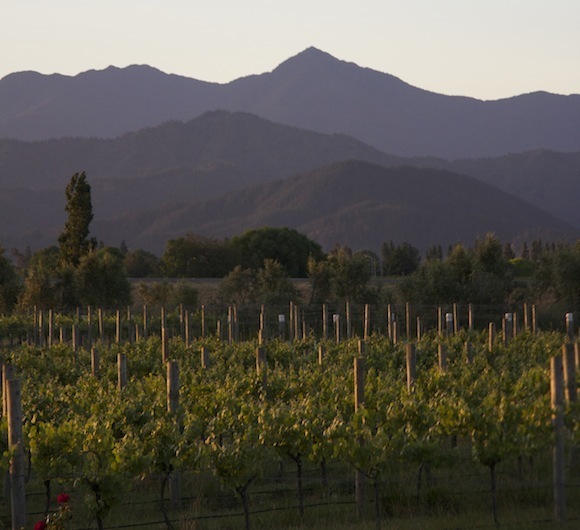 “Marlborough is not just a style,” said Tamra, at a recent tutored tasting and dinner. The winery’s Seaview vineyard is based in the Awatere Valley, the most southerly in Marlborough’s wine growing region and the coolest and driest. 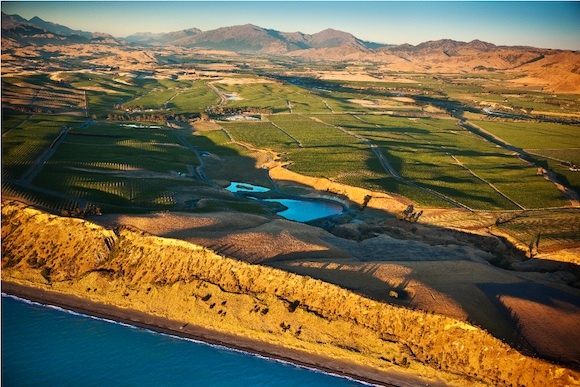 “There are no other vineyards in Marlborough which are as close to the sea,” said Tamra. According to Tamra, being close to the sea gives the Sauvignons from Seaview a salty, herbal character whereas they develop more tropical flavours when the grapes are grown further inland. But that is not all. “The Seaview vineyard is unique in itself. It’s a sub sub-region with its own little microclimates within it,” she explained. We started with the Single Block S1 Sauvignon Blanc 2012, which had a distinctive and (to me) attractive smell of a freshly-cut sweet red pepper with some glints of passionfruit. It had a lighter mouthfeel than many Marlborough Sauvignons I’ve grown to know and hate, plus a super acidity. The coolness of the 2012 vintage will have contributed to this. The 2011 S1 retails exclusively in Marks and Spencer for £12.99, making it good at that price. Hopefully the 2012 will be similarly priced. We compared it with the Single Block L5 Sauvignon Blanc 2012, made from grapes grown in a block closer to the coastline and three or four degrees cooler than S1. This still had the red pepper note, but was more herbal. Tamra suggested thyme, I thought perhaps dried oregano. You get the idea. I picked up more complexity when I tasted it: blackcurrant leaf, grapefruit, passionfruit along with the capsicum and oregano and a fresh, mineral lift at the finish. To me, this was the more interesting of the two. An interloper was slipped in between the two, the Single Block M2 Sauvignon Blanc 2012, grown in the more northerly, inland Wairau Valley, where the soil is heavier. I instantly picked up a whiff of fresh armpit and was intrigued when Tamra said a characteristic of this terroir was a slight sweaty smell in wines. This wine had been made the same way as the two Seaview Sauvignons, and was a good choice to highlight regional differences. I got it. 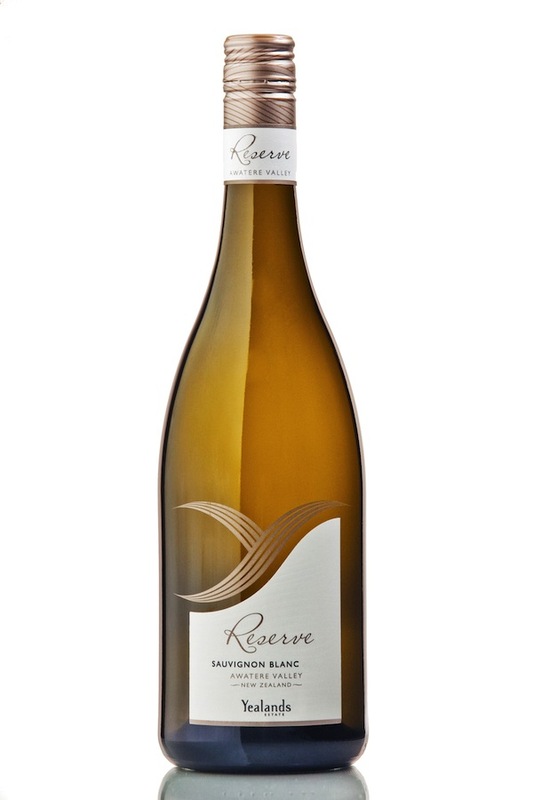 Tamra also showed us the Reserve Sauvignon Blanc 2011. While this is also made from a single block in Seaview (R2), it’s calling card is how it is made. Like the Cloudy Bay and Greywacke wines mentioned above, this is about making a Sauvignon with a textured, more savoury dimension that can be aged for two or three years. Some of the must was fermented in new oak barrels using natural yeasts and went through malolactic fermentation, which reduces zingy acidity and adds creaminess. The majority was fermented in steel tanks, as is usually done with Sauvignon, sitting on its lees to add depth to the finished flavour. Then some of this went into older oak barrels, more malo, before final blending. The idea behind this involved process, explained Tamra, was to “make Sauvignon differently”, by using oak to build in more layers. Despite a yeasty savouriness masking other aromas on first pour (known in the trade as reduction), swirling and transferring the wine into another glass to give it some oxygen opened it up to reveal a sea breezy tang and more of that thyme/oregano. Retailing at around £12, this was my kind of Kiwi Sauvignon. Almost half of Seaview’s 200 blocks of vines are given over to Sauvignon Blanc. At dinner, we also got to try wines made from other grapes grown in the vineyard: a Gruner Veltliner, Riesling, Viognier, Pinot Noir (which we contrasted with one from Central Otago) and a knockout Alsace-style Pinot Gris (the Single Block R6 Pinot Gris 2012). It’s good to see producers like Yealands trying to reclaim Marlborough Sauvignon Blanc from being a cheap, easy glugger to something that is also popular with the finer wine drinker. There is, of course, an economic necessity to this. A reduced crop last year means prices for the nation’s favourite wine will increase. So producers need to talk up the different styles to create new interest and a willingness to part with more cash. Yealands’ wines are distributed in the UK by Enotria.